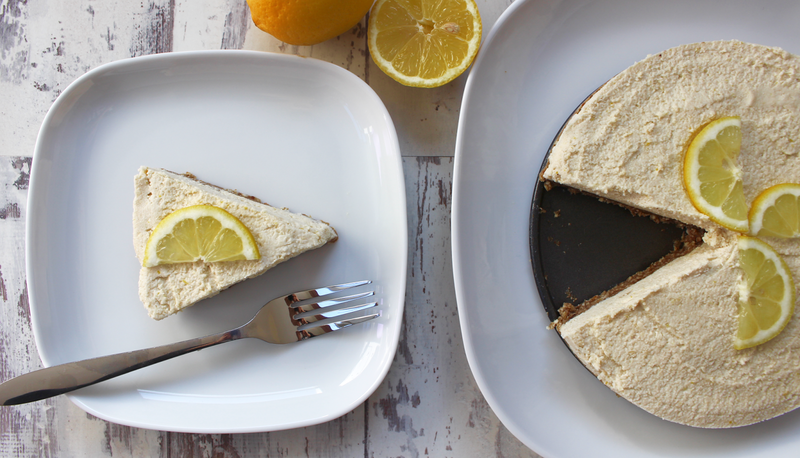 Lemon cheesecake has been one of my favourite desserts for as long as I can remember; it was always my choice if it was on the menu at a restaurant and I'd be so thrilled if my mum bought it as a treat. 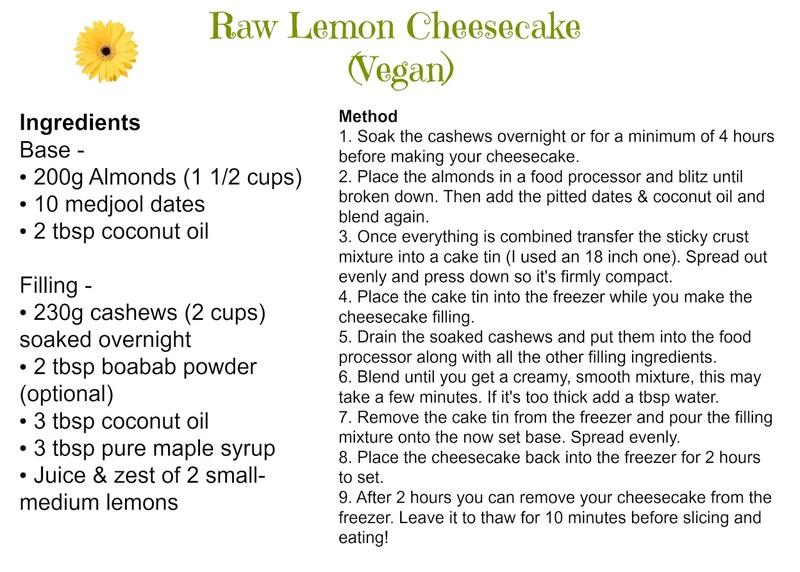 I thought having a plant-based diet would mean I'd never be able to enjoy a delicious lemon cheesecake again, I mean how on earth do you make a cheesecake vegan? 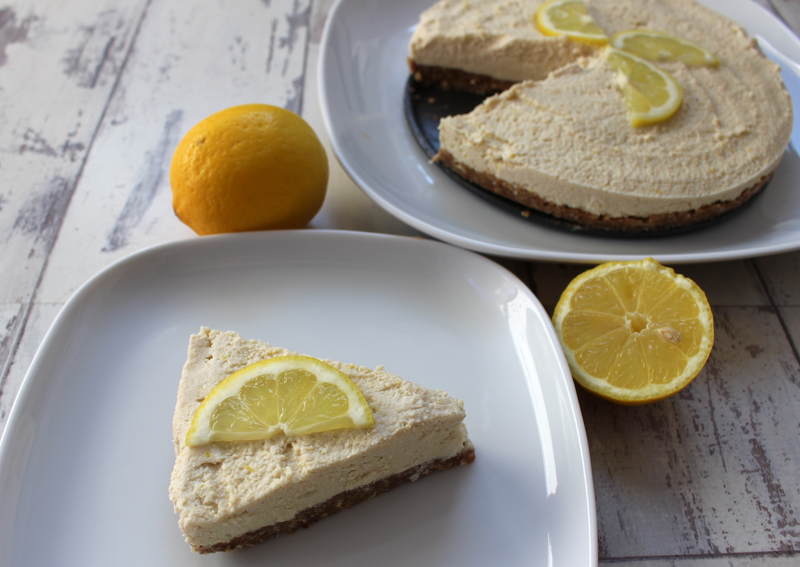 But I did some experimenting and I've come up with the most delicious recipe for lemon cheesecake that is not only vegan and gluten free but is refined sugar free and totally healthy too! 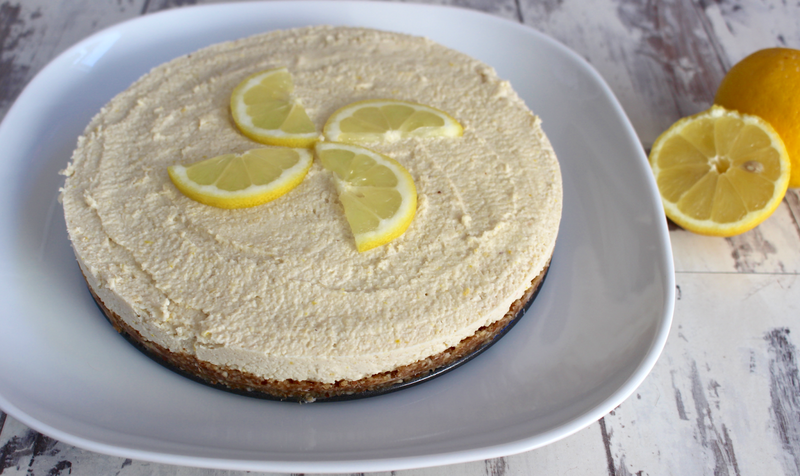 I can't get over just how creamy and moreish this lemon cheesecake is...you'd honestly never know it was good for you! It's also got the perfect mixture between being delightfully sweet yet wonderfully tangy from the lemon - such a winning combination. The base is made from almonds, dates and a little coconut oil which create the best soft biscuit like texture, then the cheesecake filling is made mainly from soaked cashews which totally mimic a traditional cheesecake filling taste and texture. I added baobab powder to my filling (totally optional but utterly amazing), which is a superfood loaded with vitamin C and has a refreshingly fruity taste. The only sweeteners in this good-for-you dessert are dates and a little pure maple syrup, so you'll experience no nasty sugar spikes and you won't feel at all sluggish. Yay for being able to enjoy sweet treats! Frozen Fruit & Vegetables As Good As Fresh? Is It Ok To Snack?